When people think about the ways in which drama can help children, the most frequently talked about benefit of little ones pretending to be vikings, fairies or the lobster in the nativity is probably that it helps improve their confidence. A quick google search brings up lists of words like ‘tolerance’ or ‘communication’, which are impressive but rather vague terms. So here at West End in Schools, we’ve done the hard work for you and selected three tangible ways that drama can really help children, which will hopefully inspire you to continue to use drama, or to use more drama, in the classroom! Big, abstract concepts like loneliness, tolerance or chaos, or historical events like the First World War might not mean that much when you’re six. But by engaging with these subjects through drama, ie. on an emotional and situational level, children can experience that old adage of putting themselves in someone else’s shoes (anyone else wonder what chaos’ shoes are like? ), and abstract or distant things can feel relatable, close, and understandable. It’s common to worry about how careful we need to be about what children are exposed to, and if they should be protected from darker subjects like grief, loss, whether Theresa May will keep her job, and other real world ‘dangers’. Yet, imaginatively exploring sensitive issues in a fictional context exposes children to these more delicate issues in a safe, controlled way. In fact, a study by Psychology Today Psychology Today in 2017 showed that participating in drama games, even simple ones such as improvisation or dressing up, significantly improved children’s emotional control in handling overwhelming everyday situations. This suggests that embodying emotions, mental states and characters equips children with a framework to recognise and process their own emotions and thoughts. This in turn will better equip them for later life - and how great is that? For those of us working in the arts sector, it’s perhaps too well documented that the UK is currently experiencing a STEM (science, technology, engineering and maths) shortage – according to EngineeringUK, we need 1.8 million new engineers and technicians by 2025. As such, children are increasingly encouraged to take up science and maths subjects at school, and the arts are viewed as ‘soft’ subjects which aren’t going to teach children the important stuff, like how to construct bridges (that’s all that engineers do, right?). But arts and science subjects should not be pitched against each other. Engineering experts (those who are really good at building bridges) agree that as artificial intelligence starts to play a greater role in engineering (and also many other) sectors, it’s creative and not just analytical minds that are now needed more than ever. Whilst science and maths subjects will give children certain practical skills, it’s a creative skillset which will better equip them to challenge their learnings, develop lateral thinking, and curiosity, whatever career path they decide to follow. 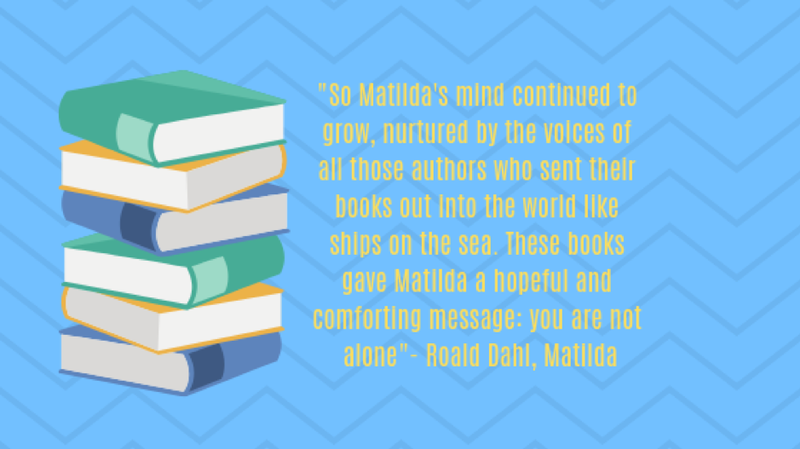 As Matilda finds out, stories introduce young minds to characters and situations which they have never before encountered. With drama encouraging children to actually embody these characters or situations, this helps them in developing empathy, compassion, and emotional connection with others. But connection is made not just with fictional characters, but with classmates and teachers. Drama games and exercises are collaborative and promote teamwork, which in turn helps to bond classes and break down barriers. At West End in Schools, we harness these benefits directly in our anti-bullying workshops. Whatsmore, evidence from the Economic and Social Research Council’s Understanding Society data (involving over 30,000 people) shows that engagement with the arts is one of the biggest factors in contributing to high level of prosociality - defined as those who volunteer and give charitably. The study also proved that it’s not even necessary to continually engage in the arts - those who have engaged in the arts up to three years before still rated highly. If you’re feeling inspired, and you’d like some ideas about how to bring drama into your exploration of Shakespeare, check out our creative director Abi Rosser’s top tips.